A piano is one of the most memorable Christmas gifts your family can receive. Unlike some gifts, it’s not played with for a few weeks then forgotten, it doesn’t disappear into a closet until the next spring cleaning or eventually get replaced by something new, and it’s (usually) more fun to play with than the box it came in. A piano is a lifetime gift–one that is still with your children as they grow, bringing the love of music not only to your household but to multiple generations. Your children and loved ones will have memories of sitting at the piano and practicing, learning how to play, and bringing music into the home. The gift of music is one that gives for life, and one that will continue to give as your children pass on their passion for music to their children. But it can sometimes be a creative feat to surprise your family with a piano for Christmas! Piano Gallery offers delivery through Christmas Eve. Some families choose to surprise their loved one with a Christmas Eve reveal, while others like to cordon off the room the piano is in for a dramatic Christmas Day reveal. This is one of our favorite ways to surprise a family with a piano for Christmas. All pianos come in a big ol’ cardboard box, and our technicians assemble the pianos for our showrooms and for delivery. We always keep some extra piano boxes around, so we’ll happily load an empty box into your truck or SUV to wrap for Christmas. 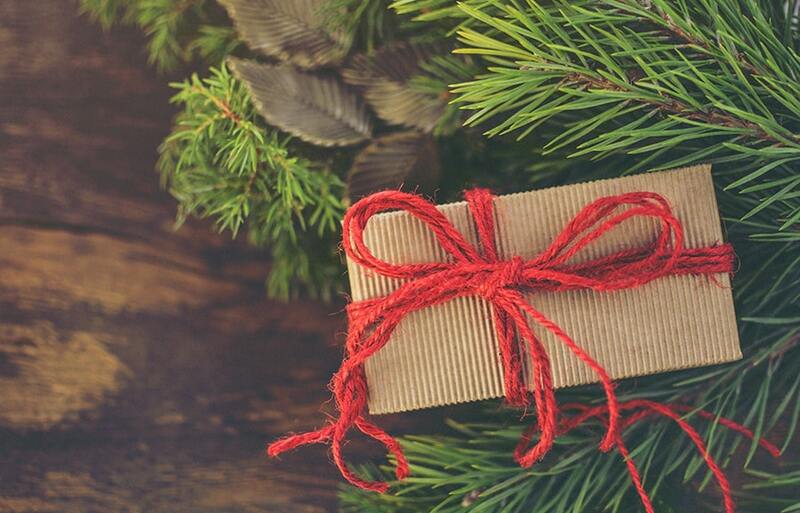 Your family will be delighted to see such a huge gift wrapped by the Christmas tree and will be excited to open it and see what’s inside! If you want to go the extra mile, print a picture of your piano onto a poster and put the poster inside the box. Most acoustic pianos come with a beautiful key that locks the lid. Put this in a little box with some tinsel and a letter or picture describing what it opens. Your family might love a surprise video greeting from one of our salespeople introducing their new piano! Bring your cell phone and hit record and we’ll take care of the rest. You can ask our salespeople to sit down at the piano, play a Christmas carol, and then congratulate the family on their newest addition. If you’ve already scheduled a delivery date, your salesperson can let your family know in the video when your piano will be delivered. Have a little fun with it! Leave a card hanging on the Christmas tree telling the family to gather around mom or dad to see a special announcement on their cell phone–or if you’re technology-oriented you can stream your video on your tv or laptop! If you’re looking for a quick and easy way to surprise your family with a piano for Christmas, grab your salesman’s business card and ask him or her to write “Congratulations on your new piano!” on the back of the card and sign his or her name. Pick up a business card-sized Christmas box at the store and wrap it for under the tree! 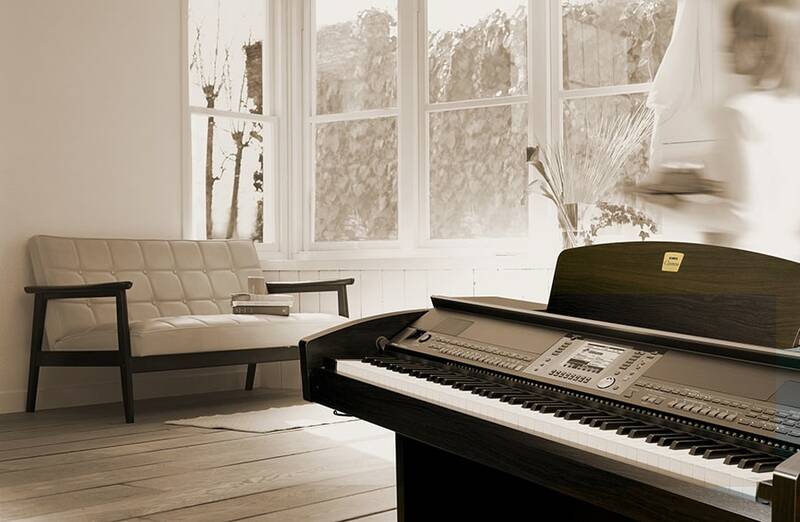 Yamaha Clavinovas are one of the most popular digital pianos in the United States. They’re also one of the easiest pianos to surprise families with for the holidays! These are some of the best sellers during the holidays (and they usually sell out in the first week or two of December, so order yours today!). 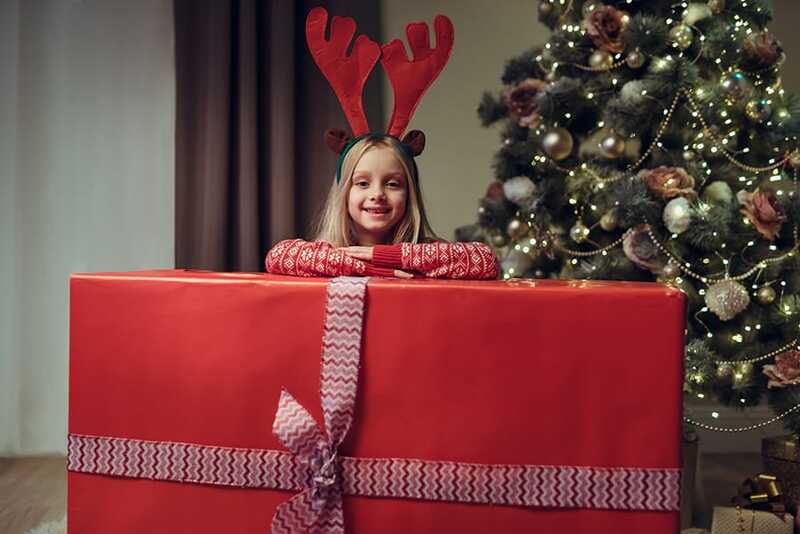 You can wrap the box and assemble it after the family has opened the big box, or you can assemble the Clavinova and hide it in a secret room (or wrap it next to the tree) so your family can enjoy the digital piano on Christmas morning. 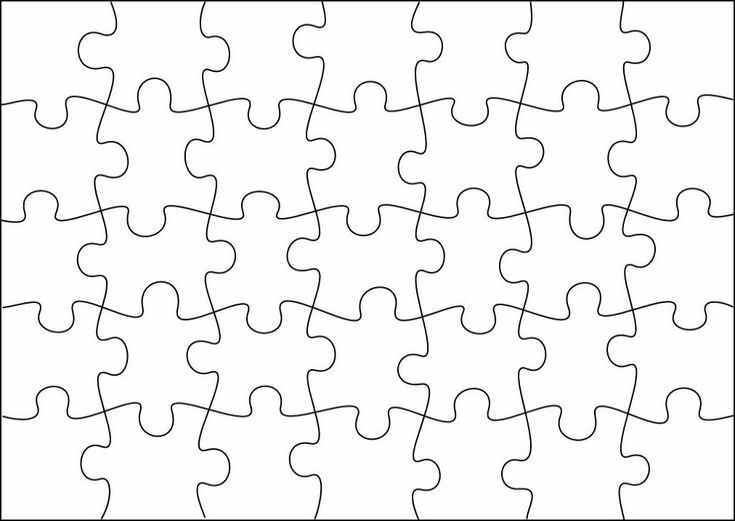 If you are the crafty sort, you can take a picture of the piano and print it onto puzzle pieces (cardstock paper works fine–there are lots of puzzle patterns online you can use). Shutterfly and Walgreens offer customized photo puzzles. 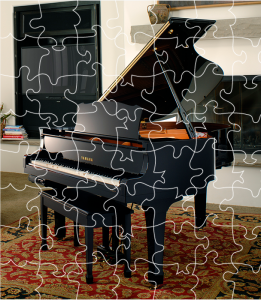 Snap a pic of your new piano (or ask our salespeople to email or text you one of our official images of the piano) and order a puzzle of your piano Christmas surprise. Wrapped a framed photo of your new with a big Christmas bow on it. Choose a beautiful calendar. After you schedule your piano delivery, write “Piano Delivery!! !” on the date on your calendar, and wrap it. Tell your family there’s a surprise hidden somewhere in the calendar and let them flip through to find the surprise! Choose a few fun piano books that your family will love. Wrap the books and wait for the look of confusion when they open them. Go “Oh! I forgot to wrap part of the gift!” and hand over a card that explains that the other part of the gift is a new piano. Pianos usually come with a small piano polishing kit to keep your piano looking like new. Wrap the piano polishing kit with a “gift certificate” for their new piano. 11. Wrap the Bench. Take a photo of your piano and print it in an 8x10″ photo. Most piano benches have a hinged lid, so open it and put your photo (or card) in there. Wrap the bench and your family will be surprised with the news when they open the lid and see the picture.